Use a pulley system to lift a heavy weight to a certain height. 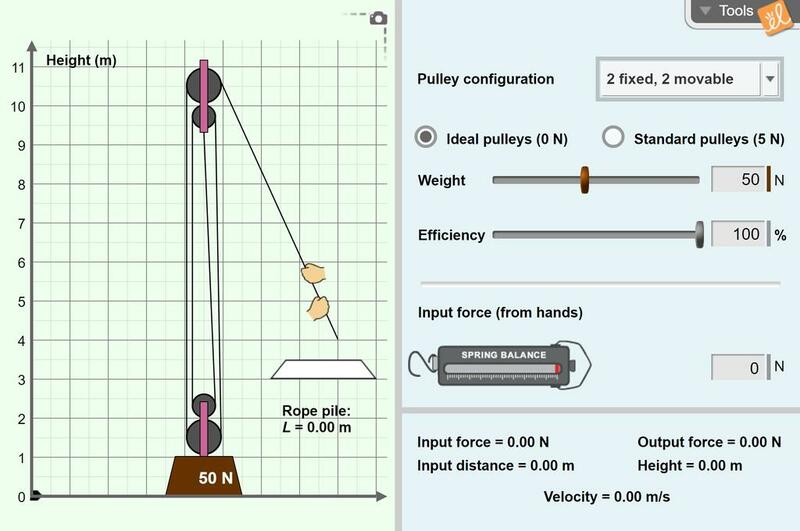 Measure the force required to lift the weight using up to three fixed and three movable pulleys. The weight to be lifted and the efficiency of the pulley system can be adjusted, and the height of the weight and the total input distance are reported. Just a copy of the online quiz but in a paper friendly format for use as a pretest.